We at Small Steps Adventures share some of our favourite one day options for trekking for beginners in Mumbai. 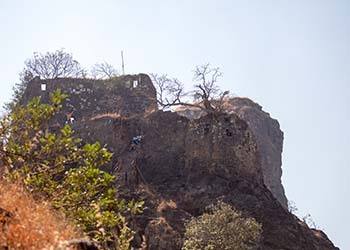 Lohagad, along with its adjacent twin Visapur is an important landmark which is well preserved with its five sturdy gates and strong walls. 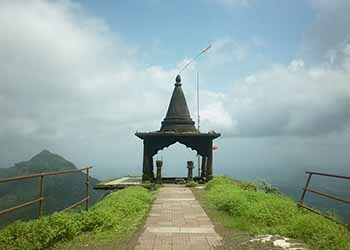 The fort offers an excellent view of the surroundings and is one of the most popular spot for trek organizers in Mumbai. The trek starts from the base village, Lohagadwadi and the route is very easy due to the presence of well cemented steps. One can also visit the ancient Bhaja caves which are located close to the fort. 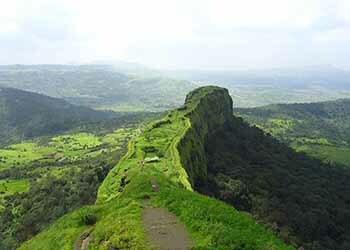 Karnala fort is a hill fort that falls under the Raigad region and is a mere 10 km from Panvel. It is an important landmark, thickly forested and has been declared a Bird Sanctuary. The route is well laid out and leads one to the base of the 45 m thumb shaped pinnacle which houses a few caves at its base. The easy accessibility gives Karnala a confirmed spot in the list of upcoming treks near Mumbai. 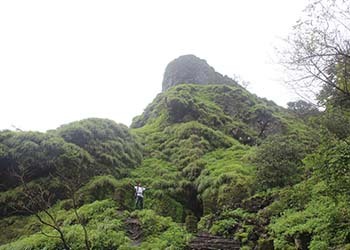 Most commonly identified as a small hill fort located near Matheran, Peb fort or Vikatgad is a popular trekking destination for people during weekends. It derives its name Peb from Goddess Pebi. According to historical evidence, this fort was also used as a storage place for foodgrains during the reign of Chhatrapati Shivaji Maharaj. The best route to approach the fort is from Neral. One gets to experience a forest trail, a ridge walk and some basic rock climbing all in one trek! A good combination of fun and adventure, this trek promises to be special for every trekker. Tikona, the triangular fort, is one of the easy treks from Pune but that does not mean that it is off limits for Mumbaikars! The route to this fort is quite safe and easy. There are rock cut steps, water cisterns and caves. A lime stone mixer and the idol of Veer Maruti are famous attractions at Tikona. One also comes across various vendors selling hot bhaji, tea and lime juice on their way up which makes the trek a cake walk! Korigad fort in Lonavala is another easy option for beginners. It is about 10 km from Lonavala and can be reached easily by road. 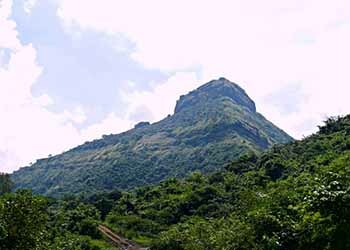 Trekking organizers in Pune organize this trek for most beginners due to its proximity to the city and the easy route. Trekkers have to pass through a densely vegetated patch right at the base after which the trek becomes easier due to the presence of well cemented steps. The view at the top is mesmerizing, even more so during the monsoon!